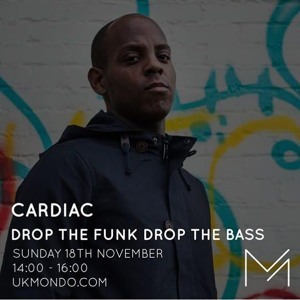 DJ Cardiac began getting into music in the late 90s listening to Rnb, Hip Hop and UK Garage. Having been heavily influenced by his older brother, he introduced him to the island of Ayia Napa bringing back a collection of tape pack from Sun city and La Costa Nosta to name a few. When returning back from Ayia Napa it was then cardiac heard the sounds of �Uk Garage� and instantly fell in love with the genre. This led to Cardiac collecting the now legendry Pure Garage series mixed by DJ EZ and listening to The Dreem Teem on Radio 1 every Sunday Night. He began teaching himself to mix. Unsure which direction to go in he purchased various vinyls from different genres before deciding he would mix Hip Hop, R&B and UK Garage. When Cardiac got his first part time job he brought his first pair of decks. After much practice Cardiac landed his first set at a small intimate venue at the pre bar for the institute night club a night called Caramel Sundaze. Following the success of the Caramel Sundaze it was then moved to the main room and renamed �Taste the Bass�. DJ Cardiac was invited back to play alongside names that included DJ Nightrate (Generation x crew) and DJ Smokey (Pure Silk). After an impressive start to his DJ career Cardiac relocated to Sheffield to study Media Studies at Sheffield Hallam University. Cardiac has done sets at a regular event called 'Sensasians' at Club Element where he played alongside the best Desi DJ's in the UK. This set was considered as a test by the promoter to see if Cardiac's tune selection had the ability to entertain the crowd, His reward for a heavyweight set was to return to Club element to feature at Real Flava alongside The Heartless Crew (Formerly 1xtra). He was briefly on Pirate radio (Bounce FM) which led Cardiac to be booked to appear alongside a leading Grime DJ Slimzee (Pay as you go/Roll Deep) at a night called Sunrise at S3 Nightclub. Whilst continuing his Smooth residency Cardiac ran into Sensasain/Real Flava promoter and was booked to play as resident at Sheffield newest club; club Banus. This residency saw Cardiac appearing alongside DJ EZ, Lethal B and J Rugged. After the Smooth residency came to an end DJ C5 set up a night at DQ called 'Tantalize' and booked DJ Cardiac and Nev Wright to spin the best UK Garage and Funky House. Following the progression of the night it was moved to a more prime city centre location at Lava Lounge where DJ Skillz was added to the Tantalize Team. Cardiac later joined the other members of the Tantalize team to play on two Tantalize tour dates alongside Sticky, MJ Cole, Dexplicit, Martin Larnar and DJ Charma. Following these gigs Cardiac and Skillz began a Sunday afternoon show on internet station 'Rampage radio'. 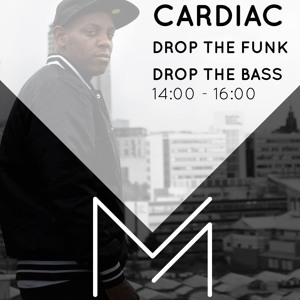 Due to the success of the show Cardiac took the natural progression and joined Sheffield Live Radio to Host 'The Drop the Funk Drop The Bass Show' Sunday's 1-3pm. During his time on Sheffield Live Cardiac has given a platform for local talent to display musical and lyrical talent. Many of Sheffield's leading Mcs/DJ have been guest on the show such as Shinobi, Kase, S dot, Coco, K Dot, Skillz, Raw kid ,Smiley and many more. The rise and influence of the 'Drop The Funk Drop The Bass' was featured in Sheffield Magazine 'Exposed' with a two page article about the show. Whilst hosting on Sheffield Live, Cardiac regularly worked with DJ Skillz. They began mixing Bassline and promoting regular mix CD's monthly giving them over 1,000 downloads. This the landed them a slot at Sheffield newest Bassline night 'Sheffield Allstars' at Club Vibe alongside Jamie Duggan, Double N, Murkz Freddo and more. Cardiac and Skillz continued to play at Club Vibe through its new Brand name 'Niche' playing alongside DJ's such as Sean Banger Scott, Nev Wright, EJ and Jamie Duggan.. One of many gigs Cardiac played at Bedroom alongside DJ Q (1xtra), Sweet female Attitude. DJ Cardiac continued to gain several residencies in Sheffield and worked at Static for a night called Spoilt playing with big names such as Westwood, Giggs, Tempa T, Target and DJ Cameo. 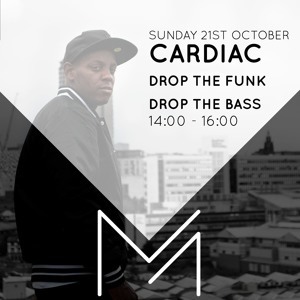 As the reputation of DJ Cardiac grew he began gaining bookings firstly out of Sheffield at Warwick University playing a headline set to over 3,000 students and then in Leeds for the Official Carnival After party at Club Mezz alongside DJ Fonti and MC Bushkin, Marcus Nasty, Burgaboy and more. Just at the right time (1xtra's) Mistajam was giving the opportunity for upcoming Dj's to have their mixes be heard on his1500 seconds of fame feature show. 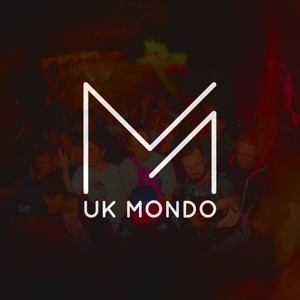 Cardiac thought it was time to put together a mix of current UK Garage in March 2012. The mix was listened to by Mista Jam and his producers and they contacted DJ Cardiac it was then broadcasted live on 1xtra. DJ Cardiac uploaded the mix as well as UK Funky mix they both had downloads that surpassed a combine total of 4,000 downloads.